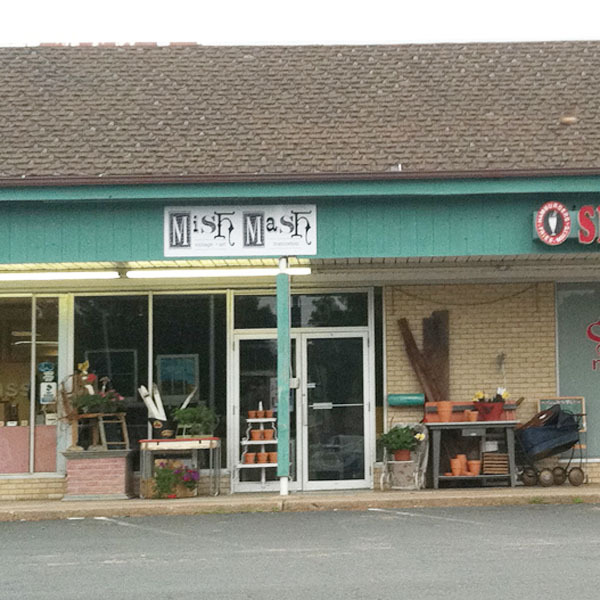 I found an adorable vintage store in my junkin’ jaunts, Mish Mash: Vintage, Art, Inspiration in Richfield, MN. It is an adorable store that has a host of handmade products from local artists as well as funky jewelry repurposed from vintage items. They also have some fun vintage items as well. What I most loved was when I arrived at opening time, Annie, one of the owners, just drove up in a van with two adorable girls, a dog and a bird. This little shop is definitely a family affair. As I shopped and someone walked in the store, those young girls made sure they said, “Welcome to Mish Mash”. Absolutely love that. Richfield is just north of Bloomington in the Twin Cities area. If you are ever in the area, this is a must stop.